Improve your Facebook page performance! What is the Facebook Audit Report? The Facebook Audit Report will show you how your business Facebook page is performing and what areas you can improve. Are you targeting the correct audience on Facebook? Are you posting content at optimal times for higher engagement? What kind of content does your audience prefer? Do you need to post a wider variety of content? How do you compare to your competitors and what could you learn from them? Our Facebook Audit Report gives you actionable suggestions to improve your Facebook page and increase your audience engagement. Social Media is still a new concept for many. It can be confusing, especially as it is constantly changing and evolving. If you just can’t seem to get your head around how to effectively use Facebook for your business, this audit is perfect for you. It will give you a clear outline of what is working and what isn’t, plus some actionable steps to start making improvements immediately. Facebook is an invaluable tool in your digital marketing arsenal and utilizing it correctly is imperative to developing a winning strategy. What will we provide as part of our Facebook Audit Report? We will view your Facebook analytics and extract the most important data to present to you in a report with easy to digest graphics and tables. The data that we get from your Facebook page will be run through our Facebook Audit Questionnaire to provide you with a Facebook audit rating. This gives you an idea of how much improvement your business Facebook page requires. We will also analyse the Facebook page results and provide you with an action plan. This action plan includes easy to implement steps so you can begin using immediately to improve your business Facebook page performance. What exactly is a Facebook Audit Report and do I need it? Our Facebook Audit Report gives you an overview of how your page is performing and possible improvements. Your Facebook page will receive an overall audit score out of 100, to illustrate clearly what’s the current status of your Facebook page. We use Facebook Insights and Social Insider to analyse your Facebook page statistics and compile an easy to follow report. Many companies have a Facebook page for their business but very few are using it effectively. 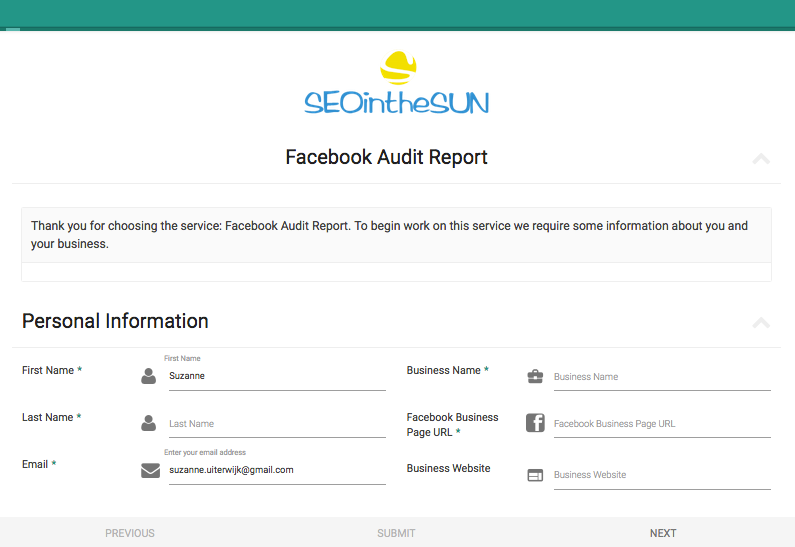 Get ahead with the help of our Facebook Audit Report. 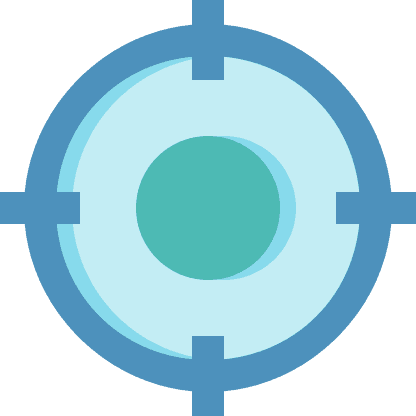 We will provide you with easy to implement action points that will see your page improve before your eyes. Is the Facebook Audit Report service suitable for me? If you have a business Facebook page that you have been using for a minimum of 3 months, this service will be beneficial for improving your performance. Whether you simply don’t have the time or don’t want to invest in a software like Social Insider, our team has you covered. Can I implement a Facebook Audit Report on my own if I follow your blog post? Yes, you can definitely do that. Just keep in mind that you will need to purchase Social Insider to ensure you have access to some important Facebook statistics. That’s also the only way to compare your business with your competitors. On top, it takes some knowledge of social media marketing to understand what will increase your audience engagement. Why are some of my Facebook Insights results different to your analysis? We provide data on your Facebook page over the last 3 months (which then is compared to data from the previous 3 months). On Facebook Insights you only have the option to view data from today, yesterday, last 7 days and last 28 days. Different programmes may also have slightly different algorithms for measuring data. Facebook, for example, when measuring engagement rate takes into account likes, comments and shares. But some of these engagements are ranked higher than others in different programmes. What do we need to work on this service? Link to your Facebook page: We will request admin access that you will have to accept in order for us to begin our audit service. Your ideal target audience: This includes age range, gender, and country. We understand you may have more than one but please choose your main target audience. Two of your closest competitors: This works best if these companies have a similar size to yours. This service will be finished within 2 working days of gaining access to your Facebook account. Thank you for your interest in our Facebook Audit Report service. Are you already a Social Media Guru? Let us help you to get even more visitors!